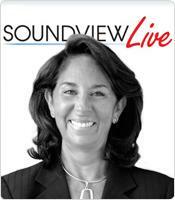 In this Soundview Live webinar, How Great Leaders Build Trust, author and organizational anthropologist Judith E. Glaser presents a framework for knowing which kind of conversations trigger the lower, more primitive brain and which conversations activate higher-level intelligences such as trust, integrity, empathy, and good judgment. Drawing from her book, Conversational Intelligence™ , Glaser makes complex scientific material simple to understand and apply through a wealth of easy-to-use tools, examples, conversational rituals, and practices for all levels of an organization. Why Conversational Intelligence™ is the key to success in life and business. New and effective powerful conversational rituals that prime the brain for trust, partnership, and mutual success. New insights coming out of neuroscience in ways easy to understand and apply to everyday life.